ATLANTA (AP) The Atlanta Braves‘ bid for a combined no-hitter has ended as reliever Shane Carle allowed a single to San Diego’s Cory Spangenberg with one out in the seventh inning. 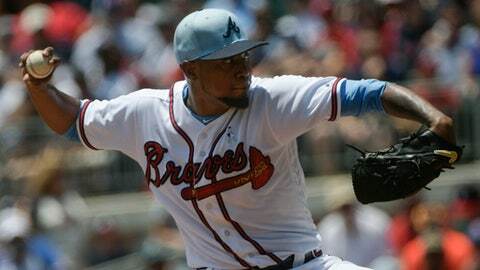 Starter Julio Teheran was removed after allowing no hits through six innings. He struck out a season-high 11, walked three and threw 95 pitches Sunday. Teheran was activated from the 10-day disabled list on Saturday. He had been out since June 5 with a sore right thumb.